"THANK YOU!! You're extremely extremely awesome :)"
"I just wanted to say a HUGE THANK YOU!!!!! You were absolutely amazing, I gave you very little time to do an urgent errand that was a real race against the clock, you took my errand on immediately and managed to get it done with the limited time I had given you! Lisa I really don't know how you did it but I am so grateful. Your services have been fantastic, I would recommend you to anyone and will definitely use your services again. Thank you!" "With hand on heart I could shout from the rooftops about the level of professionalism, reliability, honesty, efficiency and dedication Lisa showers over every single client. 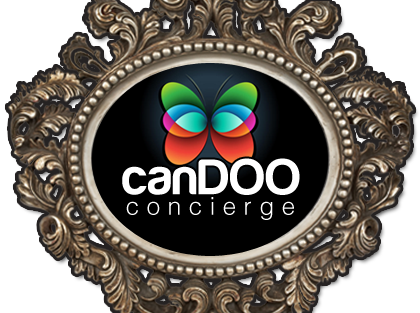 Never have I had the pleasure of working alongside such a fabulous source of inspiration and enthusiasm and I would recommend that anyone in need of a serious injection of spare time talks to CanDoo concierge about helping them achieve it. " "Lisa definitely has an eye for the detail and leaves no stone un-turned. Her passion and enthusiasm come through from the moment you first meet her. If you have a problem and no one else can help...then get in touch. It'll be the best decision you ever make." "Lisa has a natural flare for business, she's personable, professional and always goes way beyond the call of duty. Her energy, enthusiasm and passion shine through her business and brand CanDOO Concierge. Lisa is now an integral part of my team, I outsource a huge variety of tasks including: copy writing, creative artwork, event management and absolutely everything to do with sales and marketing. I couldn't honestly cope without her now - I highly recommend Lisa and her business!" "Lisa Forbes (owner of CanDOO Concierge) is an innovative and enterprising spirit." "Candoo Concierge did their utmost for me, they provided the most efficient and reliable service; enabling me to re-launch my beauty business on time and under budget. During my initial consultation I gave them my brief for stationary, marketing material, leaflets, website, gift bags and contents. Within hours, Candoo Concierge emailed me reams of information and ideas for sourcing the gift bags; had researched and obtained best value prices for leaflets, stationary etc etc. Not only did Candoo Concierge give my business a new brand identity, they also designed and created my leaflets, oversaw the website design; and also put me in touch with valuable contacts, networks and local businesses/suppliers. I would highly recommend them to any SME requiring help with their Marketing." 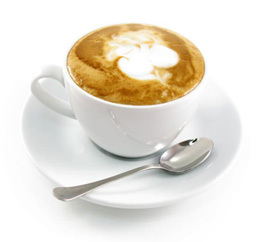 "I first employed the services of Candoo Concierge in September 2009. I now live 70 miles from my rental property and needed someone local and on hand to oversee property renovations and find new tenants once the work was complete. Candoo Concierge is now a key holder and acts for me in my absence. Their service has been exceptional to date. Don't think I could cope without them now!" "Event: Marco Pierre White’s ‘Devils’ Kitchen at Old Trafford, 26th November 2009: ’Thanks again Lisa for a fantastic suggestion, and for arranging everything for us. Apart from our wedding it was the best night we have had.’"
"'How exciting, we're off to Mauritius in five weeks! Thanks so much. As suggested we're doing a combination of independent travel and package holiday (all a bit complicated, but you somehow made it look so easy...). We'll let you know how we get on, IF we come back!' Update: our clients did decide to return home in the end… They had a fantastic time; and we are now working on their next big adventure!" "I just wanted to thank you for your fast, efficient and friendly service. I desperately needed a reliable, caring, home-from-home dog sitting service. A friend recommended I contact Candoo Concierge, so at very short notice, I called and asked for help. Within the hour, Lisa from Candoo came back to me with three fully researched options, all three sitters had availability, and all three had been tried and tested by other Candoo clients. Due to the fact my puppy was recovering from an operation, Lisa highlighted the home-from-home she felt best suited my needs. I took her advice and Belle absolutely loved her stay! We will definitely be using Candoo again in the future!" "A really convenient service and really handy if you're pushed for time." "I just wanted to record my thanks for great service from Lisa the travel goddess herself! I commute every week from Europe to England, returning at the weekend to see my wife and kids. I started using "candoo" this year after a recommendation from a friend. Since February 2009, I have had all my flights sourced - er no - managed (things like cancellations and changes) through Candoo from Europe to the UK and I reckon I've saved around £500 so far this year from what I was paying last year - and only 3 Ryanair flights too! How much easier is my life? Lots!" "You're a life saver... One less thing to worry about. " "Your car hire report is spot on and covers absolutely everything – thanks!"